Depositphotos is an established microstock agency, which positioned amongst the most popular in the industry quickly after their launch in 2009. Some of the reasons for that are that they have some of the lowest price points in the market, great content and convenient licensing terms. All this while having a professional approach to the business that made them not only a good deal but also a reliable choice. No wonder we include them in our ultimate guide to the Best Stock Footage Agencies! If you're ready to buy cheap stock footage, visit Depositphotos, and don't forget to sign up for free to explore their offer! If you want to save money in your purchases, grab our special coupon now! Want to explore Depositphotos service? 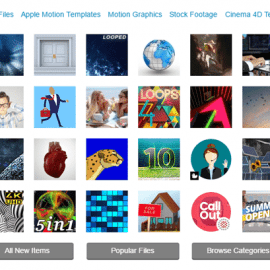 Sign up and start downloading great and cheap stock footage! And get even lower prices with our special coupon! Depositphotos, as we said, is a microstock agency. The main premise in their service is to sell Royalty Free licenses for stock imagery at low prices. They launched originally in Europe, but they now operate with bases in the US as well as in UK and Ukraine (their initial location). The company launched in 2009, when other big agencies like iStock, Shutterstock or Fotolia already had years in the industry. However, Depositphotos had a good start: it had it needed to have to be a good option for buyers, and quickly became a popular choice. Since then, they have been amongst the top 10 of microstock agencies, and they've maintained the low prices and simple licensing with Royalty Free license. A couple years after their start, they introduced stock footage, and their library has now grown to over 1.6 Million videos. This large collection allows them to offer variety in themes and styles, and they add options with different video resolutions. Although perhaps not as varied as agencies like Shutterstock, they have enough content options to fulfill most of your stock footage needs. And of course, they have lower prices. They sell stock footage clips on demand, with video packs that are designed for bulk purchases: the greater the pack you buy, the less each clip will cost you. Although all their stock videos are sold under Royalty Free license (which we'll explain below), Depositphotos has two different kind of footage available. Commercial videos are suitable for any commercial or for-profit use. This means the owner of the video has provided model and property release documents, granting the people and the owners of the private property depicted in the footage clip have agreed to have their likeness shown there, and so the content is safe to be used legally in commercial endeavors. Editorial videos are, as you probably guessed, for editorial use only. These clips do not have the required releases that would authorize their use for commercial purposes, therefore they can only be used to illustrate editorial content, and not for profit. For this use, they are legally safe. The use in having this division is to add valuable content for editorial purposes. If you're looking for footage to use in this way only, you get access to way more content than you would if they only included Commercial-ready clips in their library. While Commercial videos can be used for editorial intentions too, this doesn't work the other way round: Editorial videos are editorial only, using them in commercial ways is illegal, and would get you into a lot of potential trouble. Always make sure you're licensing the right kind of video for your intended use. Depositphotos makes this simple by adding a filter option for Editorial content in their search engine, and also by displaying all the clip's details, including the commercial or editorial status, in each clip's page. As most microstock agencies, Depositphotos works with Royalty Free licenses because they are more flexible to cover buyer needs, and because being a one-time fee model it always turns out cheaper than other licensing options. Royalty Free license gives you a wide range of usage rights, without time or location restrictions, for a one-time fee. So you must pay for the license once, and you get to use the content forever, in any of the accepted ways, for as many times as you want, without ever having to pay any extra fees. The Standard Royalty Free license restricts the use of content for resale or distribution purposes. You can use the content for TV, video or web in advertising and other uses, but you cannot use the footage in film or video productions that you will then distribute or resell. It's also prohibited to use stock footage in web design or web templates. Even with these limitations, Standard license is very convenient: affordable, straight-forward and simple. All you have to do is read the terms carefully to make sure your intended use is within the accepted ones. All Depositphotos stock footage comes with a Standard license, and the prices stated for the clips correspond to this licensing option. To be able to use the stock videos in film or video with distribution intention, and various other products for resale or distribution, you need an Extended license. For a higher (yet one-time-only) fee, you acquire the extra rights to use the content in those ways. Extended licenses for video are sold under custom plans depending on your needs. If you want to buy an Extended license for a stock video, you must contact a representative at the agency. See more details on Depositphotos Licensing Terms here. It's important to note that not all clips are available in every resolution, but that all of them are available in the highest resolution possible, and all the lower ones that preceed it. For example, videos that are available at 4K are also available in all HD and SD sizes, and 720p HD clips are also available in both SD options. All files are downloadable in MOV format. As lower resolutions are priced cheaper, these options let you choose the one that works best for your needs, and avoid paying unnecessary extras. However, higher resolutions are more versatile and convenient, as you can easily down-size a clip to use a lower res version, but it's not so easily done to upgrade resolution when you need a sharper quality. If you might be using the same clip for various purposes in different placements (like TV, Youtube and Facebook), it makes sense to buy the highest definition possible, and then resize it for each use. Depositphotos sells stock videos on demand, with video packs. The packs let you buy a determined number of downloads for videos upfront, and then you can use those downloads to get the videos you need. Video packs are set and priced according to volume, and also by video resolution: higher definition is priced higher. But at the same time these packs let you save money: the more downloads you buy, the cheaper each clip is for you. The packs apply a discount to the individual clip price, and the larger the pack, the greater the discount. As you can see, you have plenty of choices to buy stock footage according to your needs and your pocket. And it's to be noted that they have cheaper prices than some of their competitors. In 4K, for example, their clips are $30 less than at other agencies like Shutterstock or Pond5. 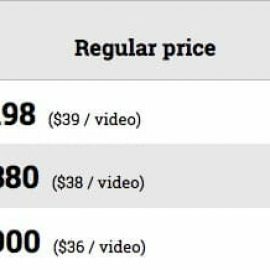 And with video packs you can pay each 4K clip as low as $140. Plus, all video packs are valid to download videos for up to one year after the purchase date. That means you can pay for your stock videos now, and download them whenever you want within one year. With this system, the more you're willing to spend upfront, the more you can save in the long run. Depositphotos' prices are one of the strongest points in their service. 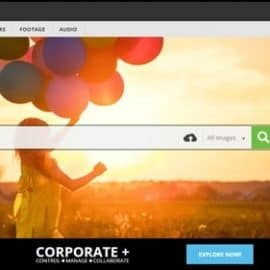 They sell cheap, high quality stock footage and offer price cuts for large volume purchases, a combination that assures a great deal for customers. Does this sound appealing? Head over to Depositphotos and explore their collection! Sign up for free to start downloading cheap stock videos! But don't forget to grab our special coupon to save even more in your purchase! Depositphotos' website is neatly designed, and the stock footage collection is easily accessible from a label at the top of the homepage. This library with over 1.6 Million videos is organized in categories and galleries, and is highly searchable. You can browse the categories to discover compelling content, and Depositphotos' search engine lets you search clips by keyword, and then refine your results with a series of advanced filters. The search tool lets you sort the results by best match, most recent, most sold, or never sold. And there's different filters to narrow the selection. You can change the accuracy of the results in terms of relevance and quality, arrange them by category and resolution, and you have more specific options, like searching by contributor name, exclude keywords, filter by number of people, exclude editorial or see only editorial results, and there's even a color search function. With these options, you can find the right clips for your needs in a matter of minutes, and without too much effort. In addition to stock footage, Depositphotos has a huge collection of almost 50 Million stock photos and vectors that you can license to use in connection with footage. 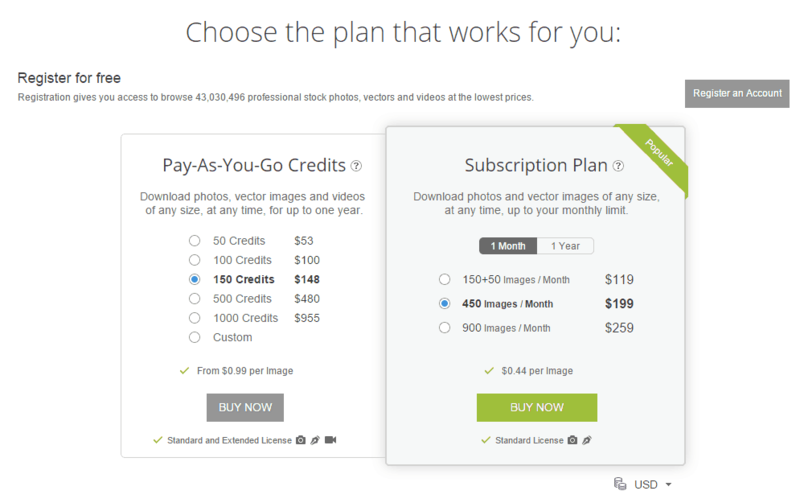 The licensing options are the same, and the prices are really low, including subscription options. Extended licenses for footage are available with custom plans only, and you must contact an agent to discuss the price based in your needs. As you can easily see, the benefits in buying from Depositphotos exceed the cons. And even the negative points in their offer are not “that” negative either. That Extended licenses require a custom deal means it might take a little longer to have them sorted, and that there's no defined price structure for these licenses that you can consult to plan ahead your purchases. But in the end, the licensing option is available, whereas in other agencies it's not. The answer is: everytime you want to buy cheap stock footage. This agency's prices are the highlight of their service. Joint to a system that gives you discounts the more content you buy, it's a great option to buy stock footage without breaking your budget. They have variety in content and resolution options as to cover most of your needs, and the clips are easy to find. However, their licensing terms makes them more suitable if you're looking for content to be used in video marketing or other online commercial uses. If you want the clips for a production in film or video that you intend to distribute or resale (or any other uses that involve reselling), the agency can suit you, but you need extra effort in contacting them and sorting with them an Extended license that covers your intended usage. At other agencies, Extended licenses can be bought by simply selecting this option during the buying process at the website. But now you know, if cheap and great quality is what you are after in stock footage, you will find it at Depositphotos. Sign up for free now! And don't forget to redeem our special coupon for extra savings!